Customer service is one of the basic yet crucial aspects that can either boost your business growth or blow it all at once. So, it is highly essential for every industry, be it large enterprises or SMBs, to treat their customers better and gain a loyal base to advance their venture. Especially, if you interact with your customers directly, you have to consider certain factors seriously, such as how you put your thoughts into words or how you convince the disappointed client. Banking and financial segment deals with similar issue. But, now they have started executing various plans to make it to the top when it comes to customer service. Millennials are not just the most studied generation in history, but also they make about a quarter of the world’s population (almost 83 million in the U.S alone). Besides, you can also find them playing various roles in every corner of the business space such as CEOs, business executives, marketers, managers, and many more. So, it is essential to study their attitudes, behaviors, and beliefs, and then alter your strategies to match the same. The banking and financial industries have already realized their importance and started bringing changes in the way of doing business. Try implementing the same in your industrial segment and reap maximum benefit. As mentioned above, Millennials take the majority of the online space. So, focusing more on their interests will yield a fruitful result for any industry. Most of the individuals in this demographic don’t do business like how Gen-X or Baby Boomers do. Rather than the traditional channels, they turn to social media apps or a company website to know more about any products/services. For instance, in the banking sector, only 35 to 40% of the phone calls are made by millennials. Although the phone was the primary mode of communication a decade ago, it isn’t the same in 2019. Bank users rely on social media or live chats to discuss their worries regarding any transactions. These changes hold to almost every industry type. So, keep track of their behavioral pattern and try to make yourself available wherever they go. Give higher importance to social media customer service and make yourself available round the clock. No customer likes slower response time, and you may lose them for your competitors if you ignore this lesson. Along with modifying the strategies to meet the needs of every generation, banking industries are also well known for providing higher security when it comes to personal information. They keep your data safe and also perform multiple verification processes to maintain integrity. 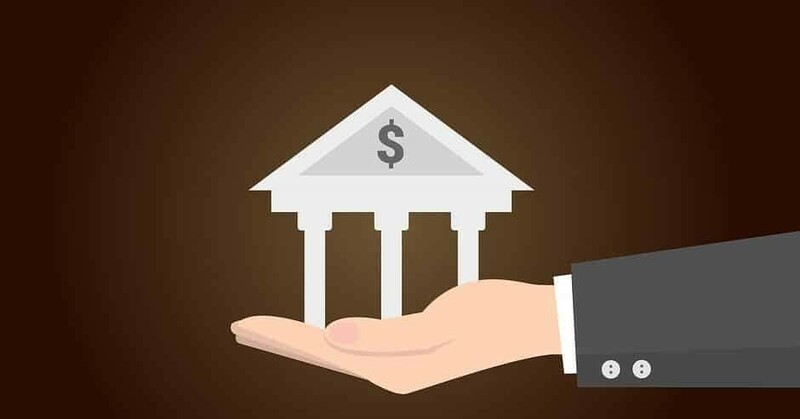 Since no individual likes companies sharing their data with other business or third-party vendors, banking has successfully generated high positive sentiment among the users. So, if you don’t wish to build a group of frustrated users, give this tip a first thought. Higher transparency is another observation we made in the banking & financial sector. These industries allow customers an informed choice by being a customer-led business. Without hiding terms & conditions, or obfuscating details of products and services, they provide an ability for the users to understand what they are purchasing or signing up. Implementing this lesson in your business will not just benefit the customers but also your organization in the long run. It’s not just the millennials, even people from older generations like to resolve the issues by themselves instead of depending on a customer service representative always. Also, no person wants to visit a nearby bank or other businesses for minor help. Banking & financial industry understands the importance of self-service and develops mobile (and desktop) apps to help the users carry out their transaction without external support. These apps will have an easy-to-use interface with various features making banking transaction simpler. Users can track their finances at the place of their comfort. Since these apps don’t consume much of their mobile space, users don’t hesitate to download it. Other businesses can also follow the same strategy as the cost of creating this self-service app is not too high. Most of the established banks focus on customer experience than their products. And, the result is – greater customer advocacy and loyalty. Both are paramount to success in the increasingly competitive business space. No customer choose to settle with the company providing a miserable experience. Did you know that customers are ready to pay more for better customer experience? Yes, you heard it right. CEI Survey report revealed that 86% of buyers would pay more for a better service. But sadly, only 1% of clients feel that vendors meet their expectations consistently. So, it’s high time to focus more on their happiness along with your profit. Fortunately, you can make this happen in your industry too. Try to understand every piece of customer feedback across various channels and thereby form a collective view of what makes them happy and where to optimize the strategy. Now you know how established banks take action to focus on their customer services. If you don’t want to be left out in the business race, try following their path to power up your brand. Almost every business has the same KPI’s and face similar issues. Every company wants to keep its customers happy, be it banking, retailing, manufacturing, or any type. So, try to win your customer’s trust in the first trial itself. It can do a lot of wonder for your business – improved conversion rate, sales rate, and ROI along with building a band of loyal customers. So, make customer satisfaction as the core of your business culture and achieve an outstanding result.